Course Website: Official Website - Visit Shoreacres's official website by clicking on the link provided. 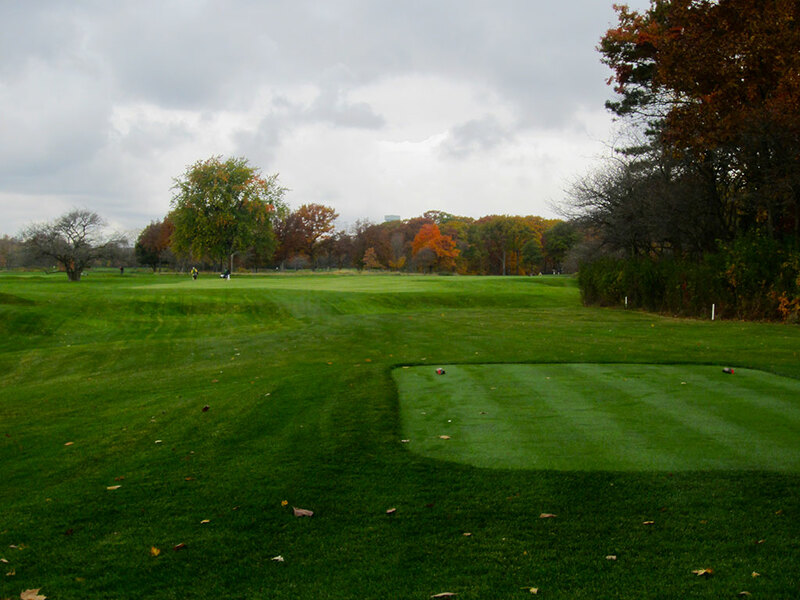 Accolades: Ranked 1st in Illinois on Golf Course Gurus' Best in State list. What to Expect: If I had looked into my golf bag and seen a persimmon driver rather than my Titleist 910D3, I would have sworn I was in the 1920s when I played Shoreacres. The old school club preserves the past with the strongest of desires. Upon arriving at the club, you'll be instructed to leave in you car all cell phones, gps devices, range finders, or any other technology developed in the last hundred years. It should come as no shock that carts are not allowed on the course and all players walk with a caddie that carries their bag and assists them throughout the round. The mostly flat course is an easy walk and the Raynor design is nothing short of pure fun to play. 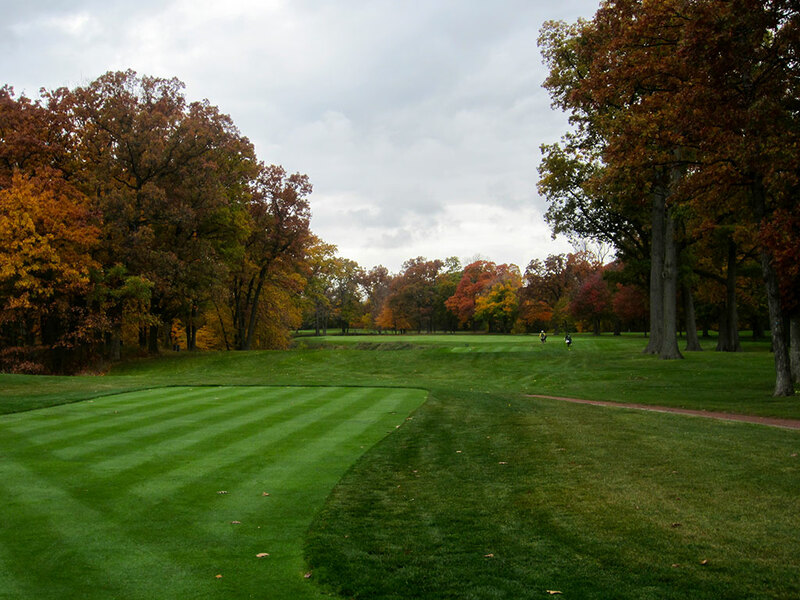 Several template holes exist including Biarritz, Road, and Redan; each of which is executed beautifully but you'll also find some original Raynor designs that are some of the best holes in the routing. The back nine features some elevation changes which were utilized to feature some creative hole features and to introduce the most impressive stretch of holes on the property; 10 - 15. 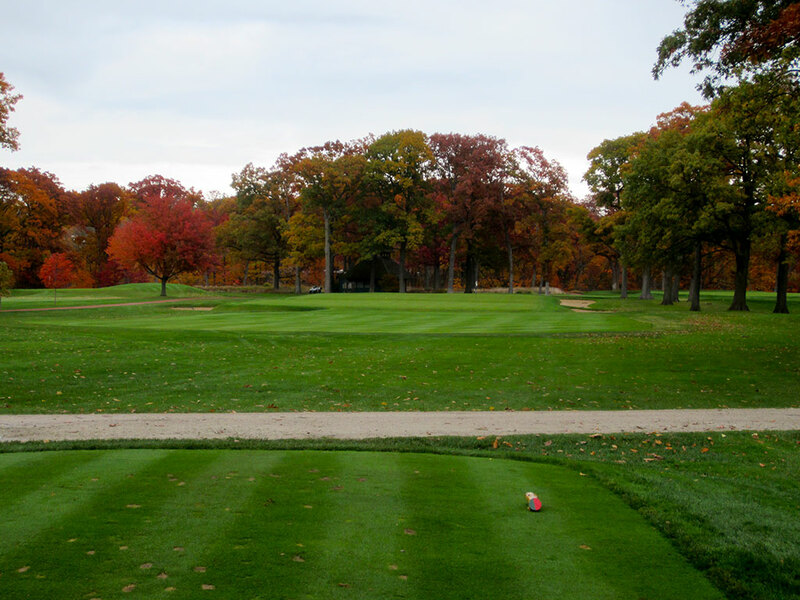 The course is tree lined in a beautiful, intimate setting on Lake Michigan; however the impressive lake never comes into view while on the course and is reserved for those spending time in the clubhouse. The club's close proximity to the Great Lakes Naval Training Center means that you are likely to hear some calls and chants from our boys in blue throughout the round. The course is quite modest in length but utilizes deep bunkers, a meandering creek, and sloping greens to bring some teeth to the challenge. While I wouldn't call Shoreacres Seth Raynor's most stunning design, if you are a fan of his work you most certainly won't be disappointed. Signature Hole: 12th Hole – 133 Yard Par 3 – This beautiful par three plays downhill to a nice sized green in the most attractive setting on the course. No more than a wedge is needed to go pin-seeking at this modest length hole and the mild undulations in the green are not to be feared. 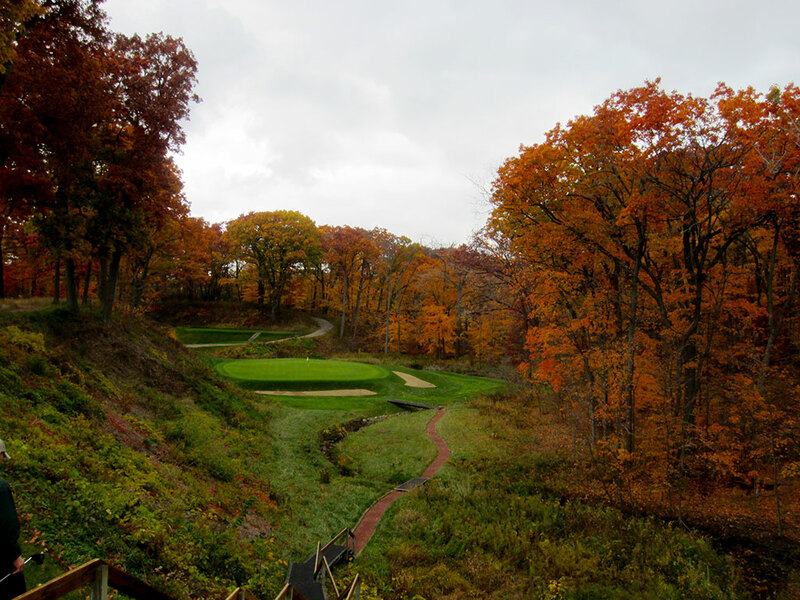 The set of wooden steps leading from the tee down to the green offers additional ambience and character to the hole. With towering trees surrounding the hole and foliage icing the hillside and earth around the green, the 12th hole is as attractive as it is enjoyable to play. Best Par 3: 6th Hole – 192 Yards – It doesn't matter where I see them or play them, I always enjoy teeing it up at a well designed Biarritz hole which is exactly what I found at the 6th hole. The original concept behind style of hole was such that it called for players to skip or run their ball onto the playing surface in hopes of it coming to rest on the correct tier. Despite the fact that golf today is a much more aerial sport than in the early 1900s, the fun factor for a Biarritz is still a perfect 10. The green here is protected by bunkers along both sides and of course a large swell through the middle. If the pin is on the back tier and your ball is on the front tier (or visa versa) then there is a much higher likelihood of you 3-putting then anything else. The same can be true for a tee ball that rests in the middle of the swell. With such a deep green, any one of a half dozen clubs in your bag could get the call for approaching this green and that kind of variety makes this hole all the better. Best Par 4: 11th Hole – 378 Yards – It has been said that all golf holes are simply copies of other golf holes from the past. If this hole is a copy of another or has been replicated somewhere else, I'd love to see it because this is as original as it gets. This medium length par four plays up to a plateau style fairway with a steep fall off to the right some 30 feet down to a second fairway. 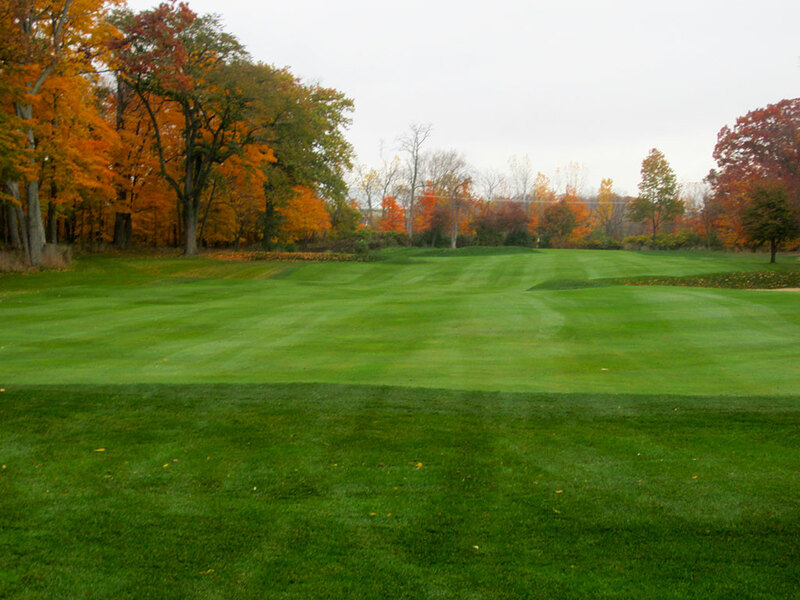 The second fairway is not cut to normal fairway height and is a much less desirable place to play from given the blind approach into the green and potential to bring extra trouble into the equation. 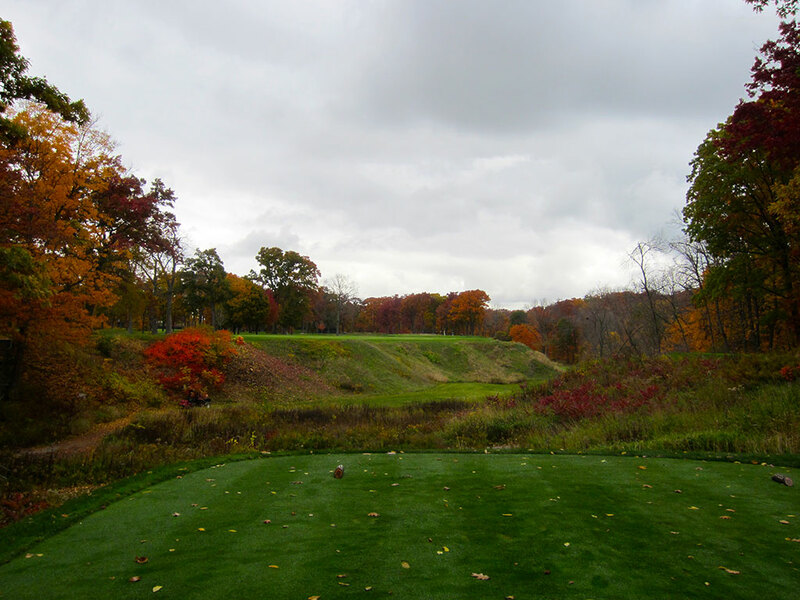 From the regular fairway players are faced with an approach shot over a ravine to a relatively large green and a solid chance for birdie. The concept of a double fairway with multiple options isn't new, but the topography on which this hole is set heightens it to a new dimension. With the uniqueness and options the 11th hole offers, this was easily my favorite hole at Shoreacres. 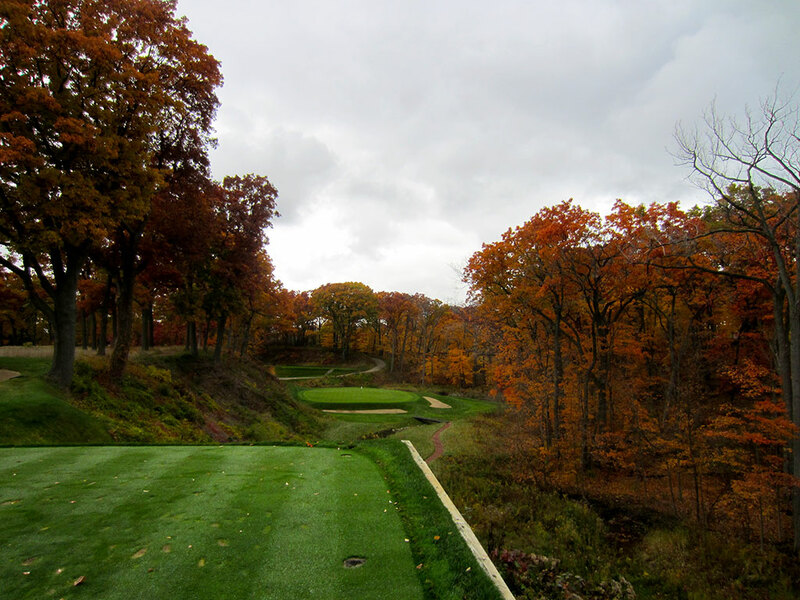 Best Par 5: 15th Hole – 521 Yards – The tee box of this fine dogleg left criss-crosses the 7th tee as it embarks out to a fairway that features a hazard cutting across it midway through the hole. Beyond the hazard a collection of bunkers angle off to the left before leading up to the green which is protected by bunkers front left and right. Challenging the dogleg creates an excellent opportunity for reaching the green in two while playing out to the right offers an uncluttered path to the green. In addition, this hole presents an excellent opportunity to card a birdie before taking on the finishing three holes. Birdie Time: 3rd Hole – 309 Yard Par 4 – With two warm up holes already under your belt, players will be licking their chops at the prospects of playing the driveable 3rd hole. Greeted by a wide fairway, there is no reason to fear gripping and ripping your driver in hopes of getting as close to the hole as possible. Some undulations in the fairway and green can create some interesting kicks and rolls, but at just over 300 yards from the tips this is the perfect hole to take dead aim at. Bogey Beware: 10th Hole – 452 Yard Par 4 – The first hole after the turn at Shoreacres is the club's version of St. Andrew's Road Hole and also its stoutest test. 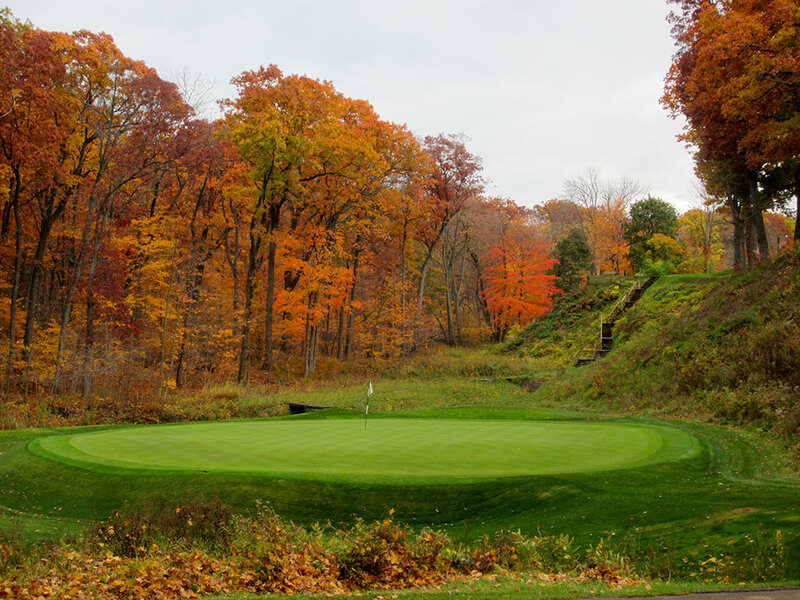 A stout 452 yards from the tips, the hole bends right around some trees and features the famous road bunker protecting the front left portion of the green that lies in wait of players who bail out with their tee shot to the left. Your best chance at a green in regulation is to challenge the dogleg which opens the approach angle to the green which still will need to be stuck with a mid-to-long iron.